Dr Shilpa Selvan is a Consultant Rheumatologist at Basildon and Thurrock University Hospitals NHS trust. Dr Selvan graduated from Royal Free and University College London Medical School, and also undertook an intercalated BSc in Pharmacology (2003). 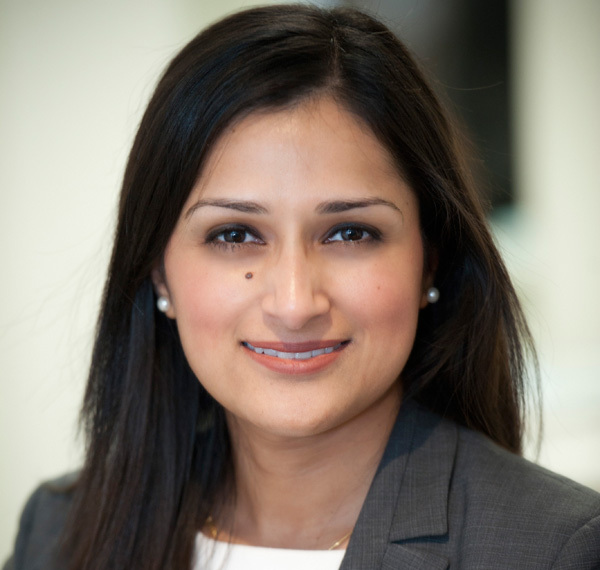 She undertook her specialist rheumatology training in the Oxford Deanery, and gained her CCT qualifications in both Rheumatology and General Medicine in 2015. She has a vast range of experience in managing general rheumatological problems including Osteoporosis, Gout, Inflammatory Arthritis, Osteoarthritis, Connective tissue disease, soft tissue disorders, back pain and Fibromyalgia. Dr Selvan is actively involved in both undergraduate and postgraduate teaching and training. She is the Undergraduate Lead for Medical Education at Basildon Hospital, and is an Honorary Senior Clinical Lecturer at University College London. She is responsible for the co-ordination and management of the undergraduate medical education at Basildon Hospital as directed by University College London Medical School, and has led the organisation and delivery of the final MBBS clinical examinations locally. Her further training includes the Post Graduate Certificate in Medical Education (Royal College of Physicians & University College London, 2013). Dr Selvan’s research interests are early inflammatory arthritis, and osteoporosis. She has published in several peer review journals, and has presented at both national and international rheumatology conferences. She is a member of the British Society of Rheumatology.